Shop.Choose. Redeem FREE GC w/ BDO ~ Philippine Freebies, Promos, Contests and MORE! 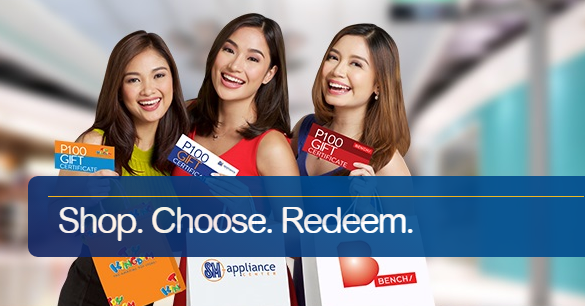 Grab this chance to shop, choose and redeem FREE GC whenever you swipe using your BDO card. For every P3,000 spent anywhere, you will be entitled to P100 Bench, Toy Kingdom or SM Appliance Gift Certificate. To claim your GC, present your card and surrender your charge slip to any participating redemption outlets. You can also pre-register your transaction/s to get a Promo Code. Then, present the code together with your card and valid charge slip at any partner stores to get your GC. Only one (1) redemption per qualified charge slip is allowed but you can enjoy up to five (5) redemptions per store, per day.